Like many Tuscan cities, Pistoia is rich in monuments dating back to the Middle Ages. Founded by the Romans in the 2nd century b.C., Pistoia experienced a period of great prosperity between the 11th and 13th centuries, when its most interesting monuments - the Duomo, the churches of S. Bartolomeo in Pantano, S. Andrea and S. Giovanni Fuoricivitas and the Palazzo del Comune - were built. 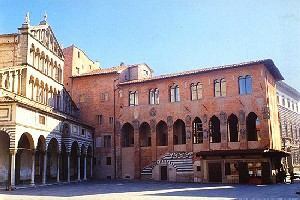 The growth of cities like Lucca and Florence blocked Pistoia`s development and in 1329 the town lost its independence. 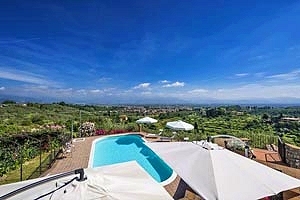 Florenceholidays.com is an agency specialised in renting villas in Pistoia and Tuscany - villas with swimming pool, villas at the sea or on the hills, farm holiday apartments and ancient farmhouses transformed into villas. find in this page of villas with pool in Pistoia and in our website the villa that meets your requirements. Rent a villa with pool in Pistoia for your next holidays in Tuscany. Charming small villa sleeping 9+2 in the countryside around Pistoia, a few kilometres from Montecatini Terme, in Valdinievole. Garden, swimming pool, air conditioning, Internet connection, toys for children. Golf club, riding stable, tennis club and thermal baths in the vicinity. 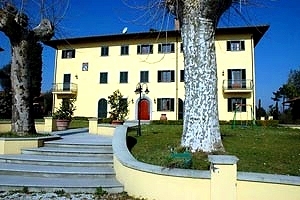 Holiday villa in Montecatini, in Valdinievole, in the province of Pistoia. 8 sleeping accommodations, swimming pool, air conditioning, barbecue. Thermal establishments and riding school in the neighbourhood, possibility of organising guided horseback excursions. 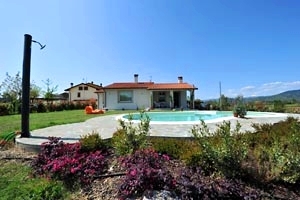 Holiday villa with private swimming pool near Pistoia, in Tuscany. Accommodation for 18 people. Panoramic view . Elegant villa sleeping 8 a few kilometres from Monsummano Terme (Pistoia). Swimming pool, air conditioning, wood-burning oven, Internet connection, wonderful panorama. Golf club and thermal baths nearby. 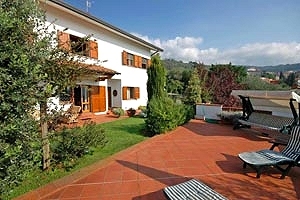 Country villa dating back to the 19th century in Valdinievole, just a few kilometres from Pistoia. 12/19 sleeping accommodations, swimming pool. Internet connection. Fully fenced 20-hectare estate. 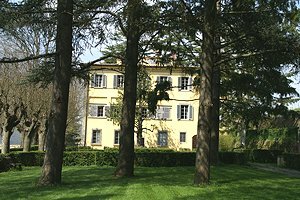 Elegant villa dating from the first half of the 19th century near Montecatini Terme (Pistoia) and its thermal baths, in Valdinievole. Sleeps 10+2, swimming pool, wide garden, barbecue equipment, Internet connection. Charming view.